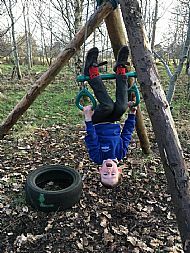 Allsorts After School Club is usually based outdoors at least 3 times each week. 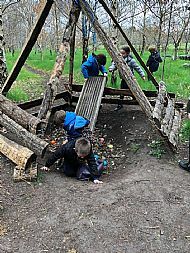 The youngsters climb trees, build dens, and generally explore and play in the Enchanted Forest. 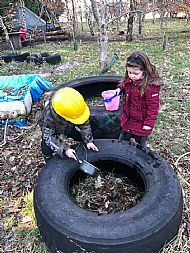 We have weather proof outfits and head torches so outdoor free play is enjoyed all year round! 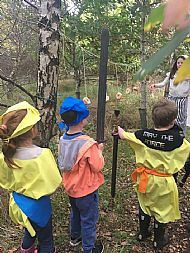 The children's creative talents are developed through active role play - whether as heroes saving the world or charaters in an enchanted wood! When the children are indoors they still enjoy free play which may be designing a new marble run or turning a piece of pipe into a horse. 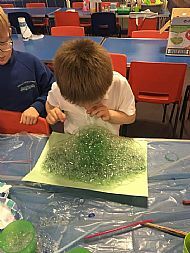 The play encourages their imagination, creative and problem solving skills. Children look forward to coming to Allsorts. New skills are learnt, new friends are made and it's fun being part of the Allsorts Club! 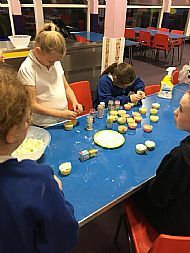 Allsorts is a great activity club providing quality childcare at an affordable price of £4.00 for the first hour and £3.00 for any additional hours.